Aminite supply the ST fiber optic adapters and ST to ST adapter, including the single mode and multimode types. These ST adapters are simplex style, most are with zirconia sleeves, optional bronze sleeve adapters are available for multimode. Aminite supply the ST Simplex Fiber Optic Adapter, This ST adapter is used for Local Area Networks (LANs),Data processing networks,Instrumentation, They have a choice of metal or plastic housing, phosphor bronze or zirconia split sleeves. 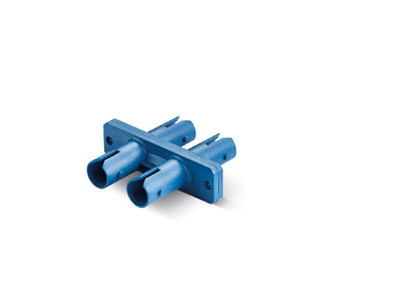 Aminite supply the ST Duplex Fiber Optic Adapter Plactsic, This ST adapter is used for Local Area Networks (LANs),Data processing networks,Instrumentation, They have a choice of metal or plastic housing, phosphor bronze or zirconia split sleeves. 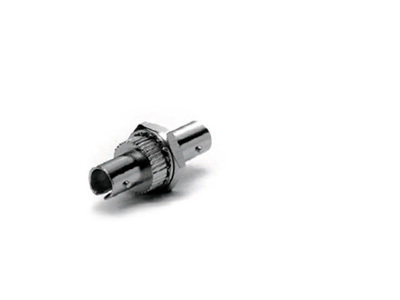 Aminite supply theST Duplex Fiber Optic Adapter, This ST adapter is used for Local Area Networks (LANs),Data processing networks,Instrumentation, They have a choice of metal or plastic housing, phosphor bronze or zirconia split sleeves.